On Saturday evening, I saw Gravity, after what felt like years of hype for the Sandra Bullock-George Clooney drama. The movie had only been out for a day or so, but I'd been dying to see it ever since that first jaw-dropping trailer was released back in August. Was Gravity worth the wait, you ask? Yes — 1,000 times yes. The visually stunning movie, directed by Alfonso Cuaron, is a 90-minute exhilarating, emotional masterpiece of filmmaking. Sure, there were a few clunkers in the script, and I would've liked to see Clooney take off his space suit for at least one scene, but those are minor grudges when the the movie was that good. Gravity, I determined, was the rare movie that actually held up to the hype. I'd already known that the movie had messed up the locations of the space stations and the Hubble, thanks to a New York Times article I'd read a day before, and had made that my one suspension of disbelief. But the other stuff? It was all new information. As disappointing as it was to learn that more things than I'd originally imagined were scientifically wrong with the movie, I found Tyson's tweets more informative than disheartening. Besides, the filmmakers should have been allowed a little leeway when it came to making a movie set entirely in space. But then Tyson kept tweeting. It seemed everything was wrong with a movie I'd thought was near-perfect, at least in terms of scientific accuracy (like I'd actually know). Thanks to Tyson's tweets, the sheen of Gravity began to fade. Those cringe-y lines of dialogue now seemed like more than a handful; the entire script, I started to notice, was awkward and unrealistic. And the acting? Sure, Sandra Bullock was amazing, but did George Clooney do anything but play the same version of calm, witty jokester George Clooney that we've seen for years? As for the effects — well, I didn't know what to believe anymore. All that CGI suddenly wasn't as impressive to me as it had seemed to me just a few hours before. Thanks to the genius of Neil deGrasse Tyson, Gravity didn't seem so great, after all. I know I shouldn't let one person color my opinion of a movie I thought I'd loved. But this was Neil deGrasse Tyson, not some random person with access to an encyclopedia. 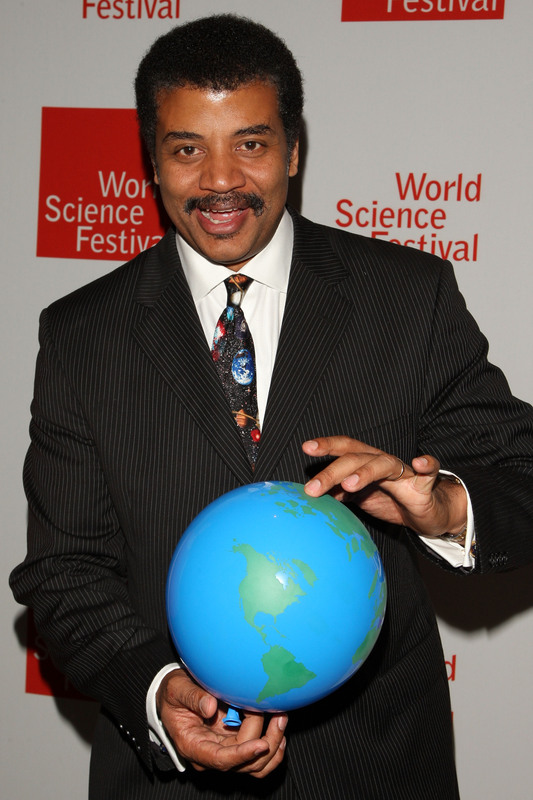 Tyson is the smartest, coolest astrophysicist around, and I trust everything he says. If he told me that Gravity was real and that Cuaron had filmed his actors in actual space, I'd be inclined to believe him. So hearing such harsh truths about the movie coming from him does, unfortunately, have a major effect on my opinion. At least one of us is happy. Thanks, Neil.